A new era for Aston has begun. 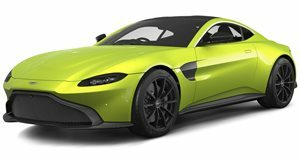 Aston Martin is about to embark on a new era, with the British carmaker putting a new chief executive at the helm, signing an agreement with Mercedes-AMG for a new bespoke V8, and developing an all-new platform. There’s been no confirmation regarding which car will be the first to benefit from these wholesale changes, but these images from the Nurburgring of an Aston prototype suggest we’ll know soon enough. Based on what appears to be a V12 Vantage S, the prototype has a wider chassis and widened wheel arches, most likely to accommodate the new AMG-built powerplant. For now, there’s not much else to say other than Aston fans should start looking forward to seeing something very exciting in the near future.